Our online tools are the easiest way to find the Cheapest Electricity Company in Texas. Cheaper energy rates appear to be on the horizon for Texans. The EIA predicts that retail sales of residential electricity will be 3.1 percent lower in 2019 than the previous year. So, you should shop while Texas energy rates are low. But how do you find and choose the cheapest electricity provider in Texas? Being able to find the best energy rates first means knowing your zip code. Different areas of the state have access to different rates depending on demand and Transmission and Distribution Utilities (TDUs) tariffs. If ONCOR is your TDU, then you’ll need to look for low rates in the ONCOR area. Be sure you’re paying attention to the location when looking at electricity plans. Everything’s bigger in Texas, but that doesn’t mean that your electricity prices need to be. To find the cheapest rates, you’ll need to know your electricity usage. Square footage not an accurate usage measurement so you’ll need to look over a year’s worth of bills to how much energy you actually used per month. You’ll be able to see on the Texas Electricity Ratings website whether or not these plans are friendly to small, medium, and large houses based on the scale provided below the house. Simply click on the house to organize the plans based on your household energy use. Which Priorities Matter Most to You? Company Rating: Choose a reputable Texas energy company with customer reviews that back their dedication to service. Length of Contract: Are you looking to lock in your contract for 1 – 3 years, a matter of months, or do you prefer to go month to month? Renewables: If you’re comparing green electricity plans in Texas, you’ll want to look for the plans backlight with a light green background. Choosing the right electricity plan isn’t as simple as going for the lowest rate. It’s important to look at the energy charge and not just the average energy rate. That’s because some plans offer rewards and others penalize based on specific usage. Going over or under a certain amount of kWh each billing cycle can drastically change your energy prices. And if you’re worried about being stuck in a contract because of expensive fees, then you’ll want to shop for cheap early termination fee electricity in Texas. Also, read each plan’s terms of service and pay attention to base charges and other fees that come with a plan. If you want a fast way to shop for electricity plans in Texas, then try Plan Picker 3000. It’s a great tool to help reduce the hundreds of energy plans to a small handful that are right for you. It’s free and easy to use. Energy rates are expected to follow the continuing trend over the last years by continuing to decline. In 2017, monthly energy bills in Texas dropped 10 percent! Now is the time to start shopping for the lowest rates so you can lock in cheap electricity prices for the long-term. You have the power to choose in Texas. But choosing the best energy provider isn’t always easy. That’s why we work hard to provide you with everything you need to switch to the provider that’s right for you. 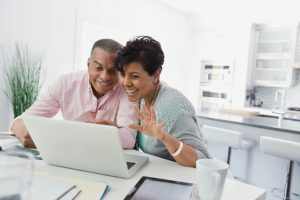 Stop by www.texaselectricityratings.com and check us out for more information on finding the best energy plan that fits your needs.